Winky D revealed on Thursday that he will be releasing a song on Valentine’s Day; the song will be titled muGarden and will feature Gemma Griffiths. The Gaffa President announced the news on Thursday through a post on social media platforms. 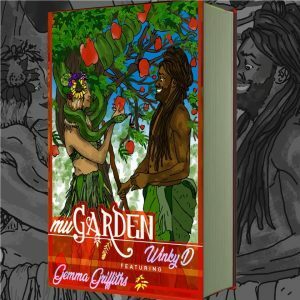 The song that he posted on Instagram and Facebook portrays Adam and Eve in the Garden of Eden with the cartoon showing Eve with a serpent around her neck passing a dreadlocked Adam the forbidden. The love song featuring Gemma Griffiths will be Winky D’s first single in 2019.